This is “Subsaharan Africa”, chapter 7 from the book Regional Geography of the World: Globalization, People, and Places (v. 1.0). For details on it (including licensing), click here. Subsaharan Africa includes the African countries south of the Sahara Desert. The African Transition Zone cuts across the southern edge of the Sahara Desert at the widest portion of the continent. 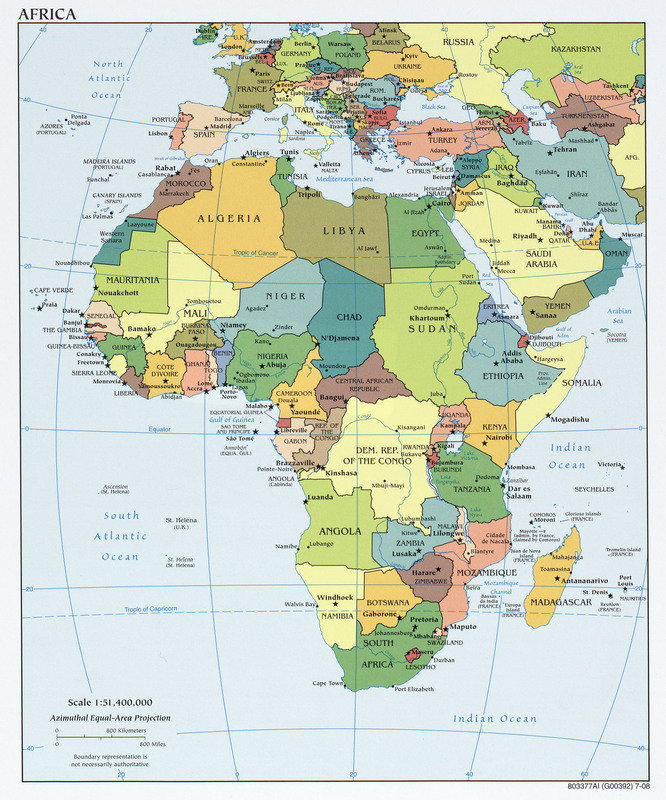 Many of the countries in the African Transition Zone are included in the realm of Subsaharan Africa. The realm can be further broken down into regional components: Central Africa, East Africa, West Africa, and Southern Africa. At the eastern end of the African Transition Zone is the Horn of Africa, which is often included in the region of East Africa. Maps vary in terms of which countries are included in each region, but this general geographic breakdown is helpful in identifying country locations and characteristics. Madagascar is a large island off the southeastern coast of Africa and is usually not included with the other regions because its geographic qualities and biodiversity are quite different from the mainland. The continent of Africa is surrounded by salt water. The Indian Ocean borders it on the east, and the Atlantic is on the west. The southern tip of the continent—off South Africa—is often referred to as the Cape of Good Hope, where the Atlantic Ocean meets the Indian Ocean. The continent of Africa has a number of small island groups that are associated with the realm and are independent countries. Approximately 350 miles off the coast of West Africa in the North Atlantic are ten islands that make up the independent country of Cape Verde. Just south of Nigeria on the eastern side of the Gulf of Guinea near the equator are the two islands that make up the independent country of São Tomé and Príncipe, a former Portuguese colony. The small country of Equatorial Guinea also includes an island off the coast of Cameroon where its capital is located. Three island groups in the Indian Ocean around Madagascar include the independent countries of the Seychelles, Comoros, and Mauritius. Source: Updated from map courtesy of University of Texas Libraries, http://www.lib.utexas.edu/maps/africa/txu-oclc-238859671-africa_pol_2008.jpg.